Angelina Jolie has been praised for making the “tremendously powerful” decision to be open about her health. Earlier this week the 39-year-old actress announced she had undergone an operation to have her ovaries and fallopian tubes removed, which followed her double mastectomy in 2013. The star made the decisions to have both operations as she carries the BRCA1 gene and has a higher risk than many of developing breast and ovarian cancer. Dr Kristi Funk helped Angelina form a treatment plan in 2013 and has spoken about how impressive her speaking out has been. 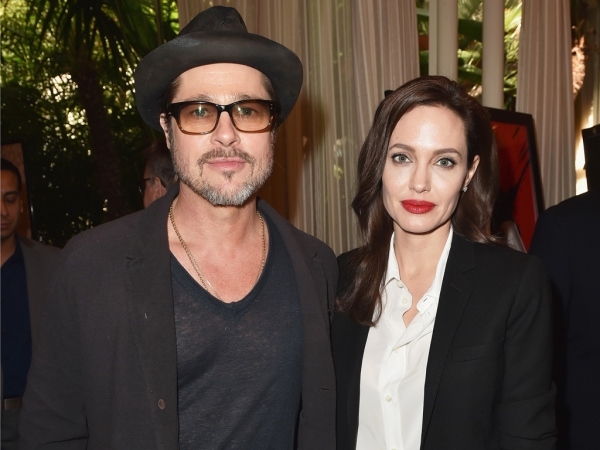 “Angelina’s going public has made an undeniable difference. Since her initial disclosure we have seen a remarkable rise in physician awareness and patient demand for genetic screening and risk assessment,” Dr Funk told RadarOnline. When confirming her latest operation in a piece for The New York Times, Angelina said she wanted to help women in the same position have all the information they needed before making a similar decision. She also spoke of her family, explaining her husband Brad Pitt immediately travelled to her side when test results suggested she might have cancer in its early stages. Although she didn’t, this scare made her realise how important the actor and their six children are to her. “Angelina did not go through this alone,” Dr Funk added. “She has been blessed with an incredibly supportive husband, Brad Pitt, and children that rally around her and are full of understanding and support. Angelina has a history of cancer in her family, with her mother Marcheline Bertrand dying of ovarian cancer in 2007.